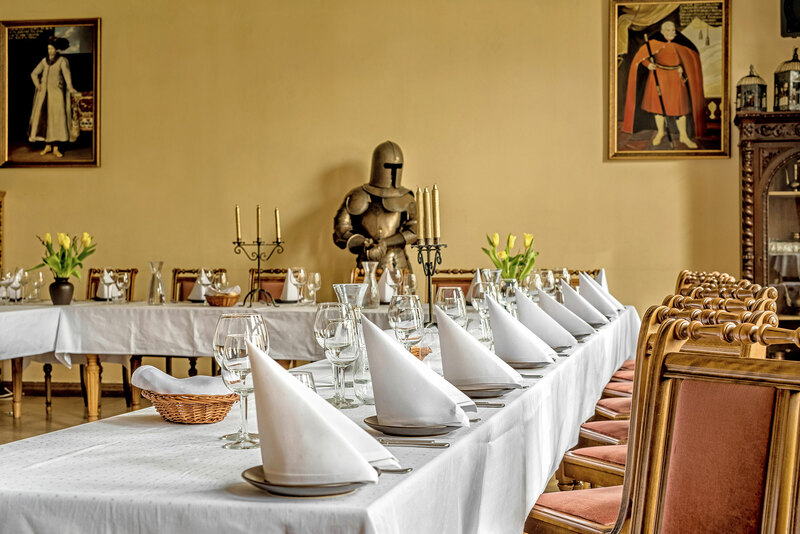 Pan Tadeusz’s Ballroom, with a separate entrance for conferences, training courses, business meetings, uninhibited and intimate, family meetings - for every occasion according to your needs. We invite you! There are unforgettable moments and important events in life, deserving an appropriate setting. Moments, when we want to succumb to the mood , focus on people and issues. Therefore, the best option is to entrust the care of these details to professionals who will ensure that all the guests will recall it with pleasure. The Hawełka Group restaurants help to organize family and social events. We will prepare any celebration in a professional manner: christening party, Holy Communions, bachelorette or bachelor party, weddings, birthdays, name days, anniversaries, jubilees. We can organize an event in your home, garden, a rented hall, in our restaurant or any other place indicated by you. We will ensure that the ceremony makes an unforgettable impression on your guests. Together with you we will compose a menu selecting your favourite meals from our kitchen, which are best suited to the nature of the meeting. The repertoire of Pawie Pióra includes popular songs and dances of the Kraków, Sącz, and Rzeszów regions. The dancers and musicians perform dressed in beautiful, original Cracovian costumes. Interesting works of choreography perfectly performed as well as authentic folk music create a unique atmosphere and are to be long remembered. The performance program will also include a common party with our guests. Breaks between the individual dances are tailored to the needs of the organizer. The ensemble’s programme may be presented in halls of different capacities. There is the possibility of enlarging the ensemble up to four dancing pairs and a band of four. An air-conditioned room in the very centre of Kraków is the ideal place for training courses, lectures, conferences and any kind of events. It is particularly well suited for organizing : training courses, recruitments, meetings, services or goods presentations. For proper teaching and to make teaching effective, the optimum number of tools is required, which we possess and the appropriate place. We offer affordable prices and a good facilities. Good location: 10 minutes from Krakow Central Railway Station, 5 minutes from Main Square in Krakow. We make reservations without the payment of initial fees. We strive to be exceptional not only because of the variety of expectations of our guests, but also because of the wide range of services provided by our company. Tradition speaks for us, we belong to the groupHawełka sp. z o. o. 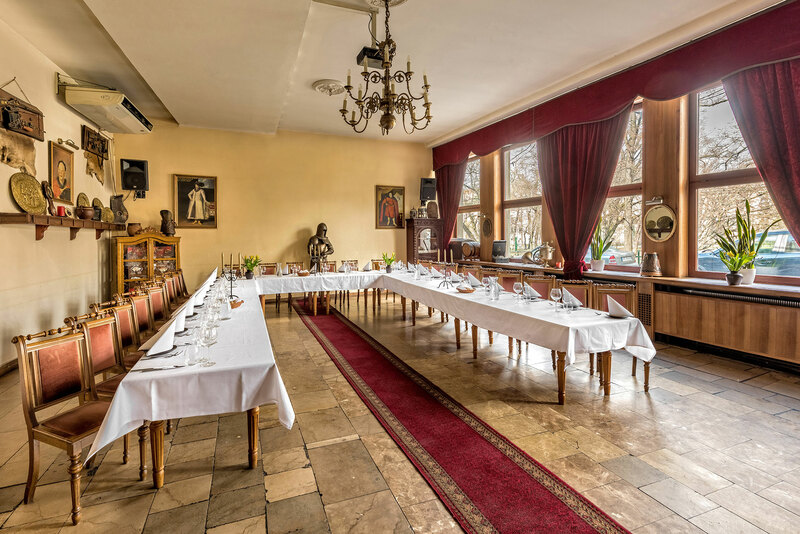 – the oldest active restaurant in Kraków. Thanks to many years of practice and dealings with various companies, we are able to meet even the most sophisticated expectations of our clients . We wish to be available for all of our customers – both for those who cooperate with us on a regular basis, and others who are looking for new places. We have area of about 120m2/200m2 where we arrange coffee, refreshment and dinner breaks. The observation deck is open during the season. On request, we also organize a catering break in the lecture hall.